It’s been years since I last went to a pantomime so I dusted off my winter jumper and rehearsed my “he’s behind you” before setting off to Bromley for the Churchill Theatre’s Aladdin press night! Written by Andrew Ryan and directed by Alison Pollard, Aladdin’s quest to win over Princess Jasmine and find the lamp for the evil Abanazar was full of laughs and mischief with a great modern spin on the classic tale. This show was really one for the kids – a fantastic spectacle with great costumes and set. The children in the audience were vocal throughout the show and really got involved although quite a few of the jokes thrown in for the adults fell on deaf ears. The production had a perfect mix of current hits and musical numbers, including a wonderful flying carpet scene to Wicked’s Defying Gravity! This year’s crop of celebs was a slightly mixed bag but worked well overall. The standout performer for me was the Slave of the Ring, Jess Robinson. 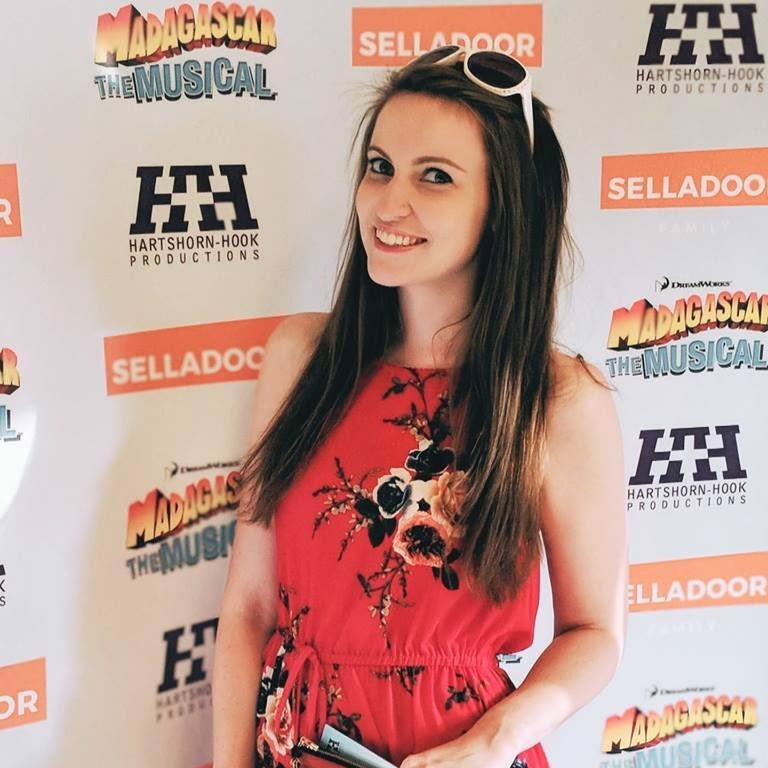 Putting the impressionist into the tale was a stroke of genius – her spot on impersonations provided some real comedy and her voice was outstanding in her musical numbers. 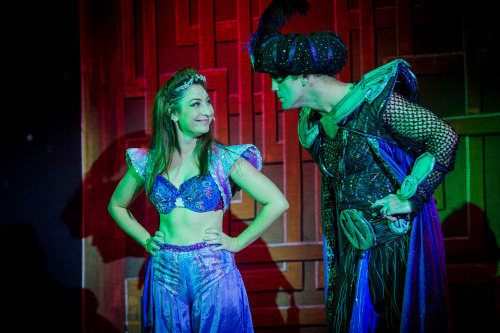 Luke Roberts gave an energetic, charming performance as Aladdin, complimented by a sweet Jen Pringle as Jasmine. 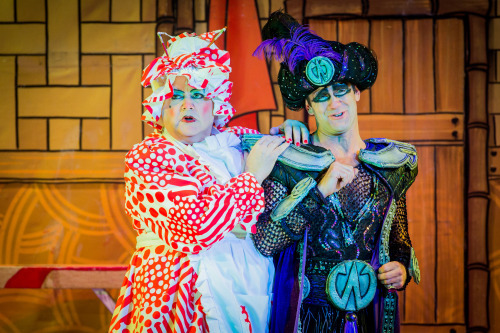 Bobby Crush was a natural Widow Twankey and Scott Maslen was clearly relishing his time as the villain Abanazar, confidently performing his role and reading the audience’s reactions well. Durone Stokes portrayed a smooth Genie of the Lamp with a smooth voice to match! I felt that Mark James was a bit too much as Wishee Washee at times. He was confident, particularly alongside Charlie Guest as PC Pong (who I certainly hope isn’t suffering today after a questionable fall in the messy washing machine scene) but some of his jokes could have been toned down. The kids loved him though and he naturally held the show together like a pro! All in all The Churchill Theatre have put together a fantastic, festive show perfect for families to enjoy together. 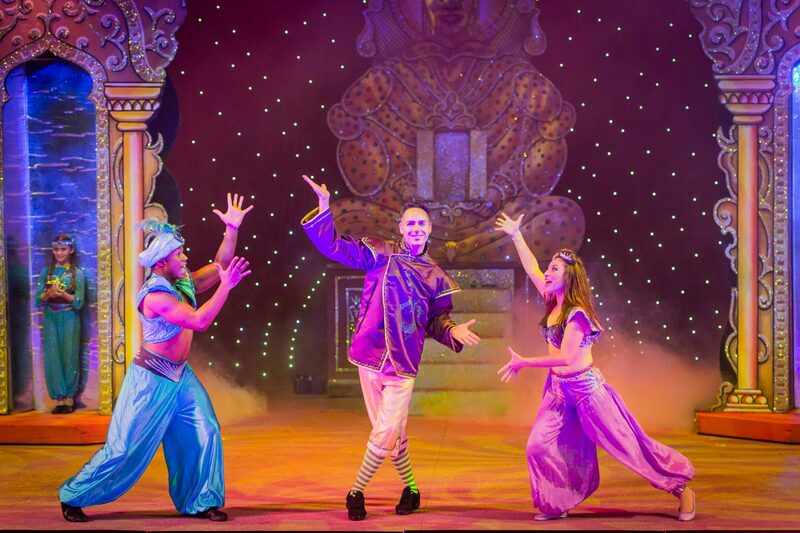 Aladdin runs until Saturday 3rd January 2016 and tickets are available from the ATG website.